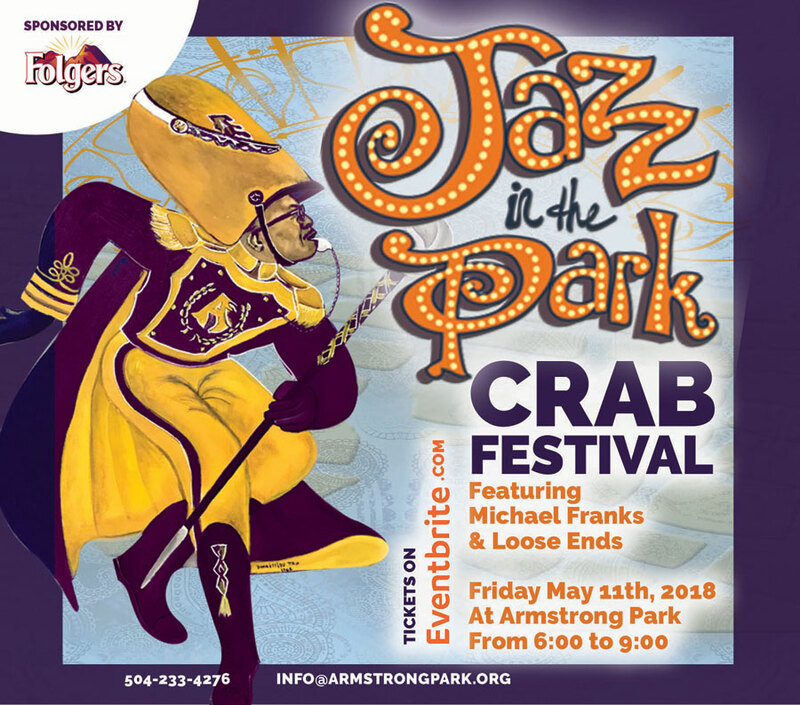 The Jazz in the Park Crab Festival will feature some of New Orleans’ best restaurants, serving some of our favorite crustacean dishes such as crabmeat ravioli, crabcakes with crabmeat dressing, crabmeat bell peppers, boiled blue crabs, snowcrabs and Jonas crabs, rabmeat boudin balls, and crabmeat stuffed shrimp. Our mouths are watering already! Jazz in the Park will begin its thirteenth year of New Orleans’ most significant weekly cultural concert series. The concerts will begin on April 26th and run every Thursday through June 7th. The series will feature many of the city’s best musicians, such as Kermit Ruffins, James Andrews, Little Freddie King, Joe Krown featuring Walter “Wolfman” Washington, and Darcy Malone and the Tangle. In addition to the headliners, Jazz in the Park is bringing back New Orleans High School Marching Bands, featuring Walter L. Cohen High School and DTA Academy Middle School Band. Jazz in the Park serves as an economic engine to the surrounding Treme neighborhood through direct mentorship. The volunteer based non-profit organization led the community effort to reopen Armstrong Park, and they have since trained twenty at-risk residents in event production. Jazz in the Park couldn’t have a more fitting venue than one named after the city’s very own, scenic Louis Armstrong Park. Participants of the Crab Festival will enjoy exceptional music, dance, savory food and a party that Armstrong himself would approve. Be sure to bring an appetite!